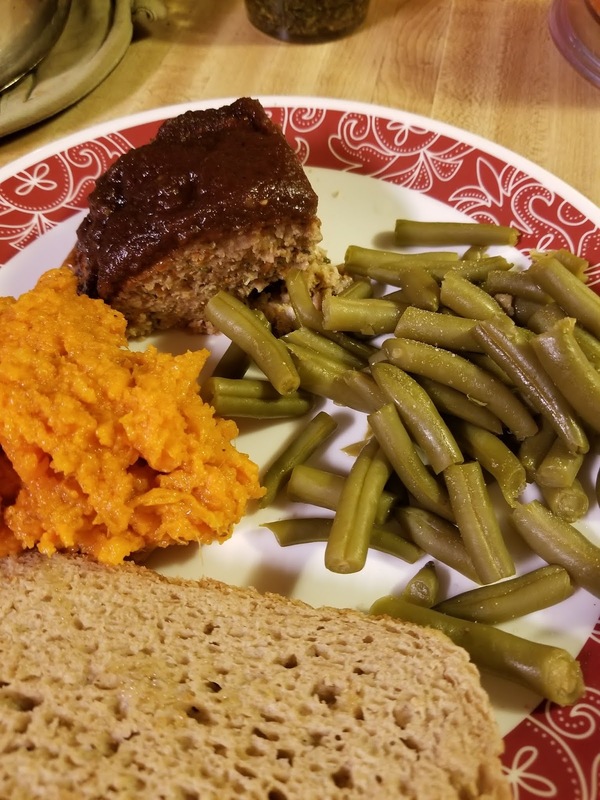 I don't make meatloaf often but had a craving. I also love this Jerk sauce, so I put the two together and this is magical!! 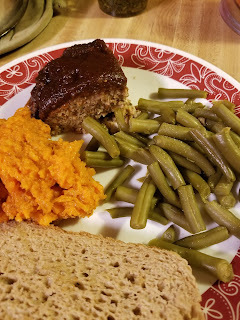 My husband wasn't too keen on me making Meatloaf for dinner, but he couldn't stop talking about how good it was, between each bite!! Super easy to make! 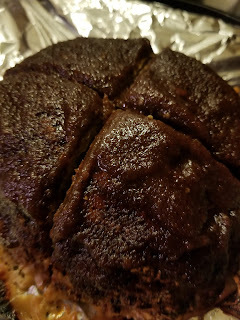 The Jerk sauce recipe is here on the blog. This recipe is from my Summer 2018 cookbook. Sauté the onion, garlic and carrots (if using) in a nonstick pan until the onion is soft. Add bell pepper and cook for a couple minutes. Use a bit of chicken stock or water to help sauté, if needed. Let cool. In a large bowl, mix all ingredients with your hands and mix it well. Press into a silicone loaf pan, or a loaf pan lined with parchment. Cover with foil. Bake at 375 for about 45 minutes. Spread the Jerk Sauce on the top and bake uncovered for about 15 minutes. Check temp- you want it to reach 160 degrees.